High-performance PC gaming systems manufacturer Alienware has announced a new series of notebooks. The systems are the company's first ever VR-ready notebooks and feature both Nvidia GeForce GTX 10-Series GPUs and a novel new forward-hinge design. Three systems complete the VR-ready range, with new iterations of the Alienware 13, 15 and 17 available, the latter being the company's new flagship notebook. Both the Alienware 15 and 17 are configurable and will be available from October 2016, while the Alienware 13 will follow later in November. The flagship Alienware 17 comes installed with overclocked Intel Core i7 k-series processors, DDR4 memory running up to 2667 Mhz and a new aluminium and magnesium alloy build. 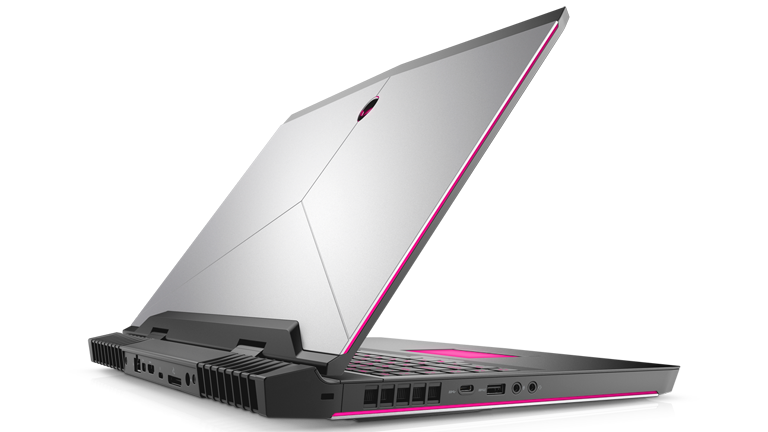 The Alienware 15 comes as standard with a 15.6-inch FHD, IPS Anti-Glare, 300-nits display, as well as a Nvidia GeForce GTX 1060 GPU. The Alienware 13 is the smallest notebook in the range, however Alienware state that with its configurable "Nvidia GeForce GTX 10-Series graphics, this aggressive design will offer one of the most compact VR-ready devices ever." Lastly, all new systems are compatible with the Alienware Graphics Amplifier, an external graphics enclosure that allows desktop GPU cards to be hooked up to portable systems. More information on all three new systems can be found on the Alienware website.